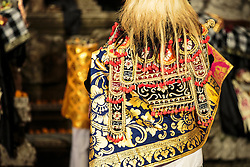 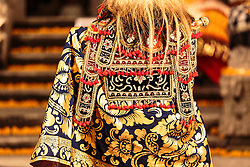 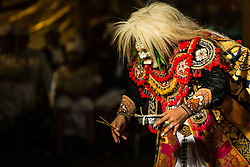 Masked dances form part of temple ceremonies. 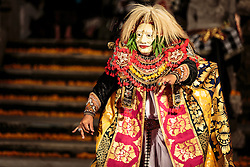 The dancer alternates refined and unrefined characters and leaves the stage to change masks, full face for princely persons and half-faced for servants and clowns. 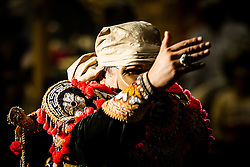 He switches scenes with the clap of a hand. 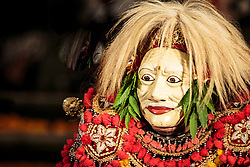 References to the refined characters are in Kawi and the unrefined in Balinese. 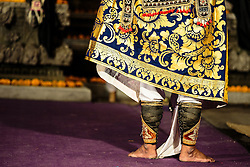 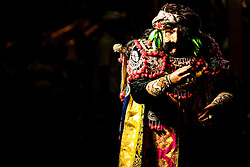 The last dance is always Sidhakarya, who makes his entrance with an offering bowl of rice in his hand. 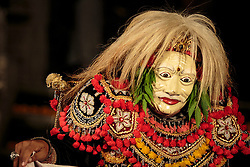 His mask is white with slit eyes, buck teeth and long, wild hair. 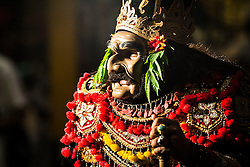 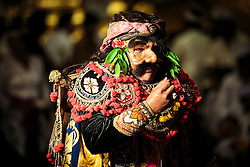 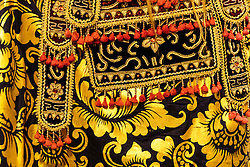 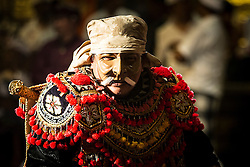 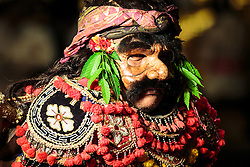 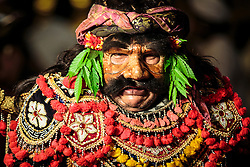 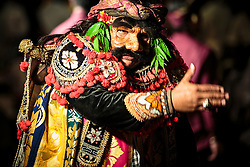 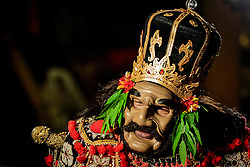 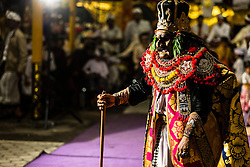 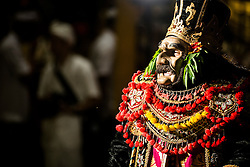 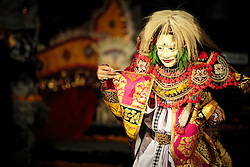 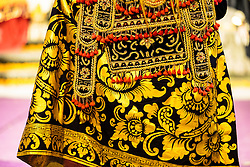 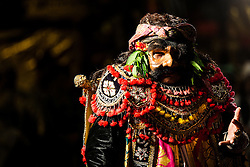 When he wears this mask, the dancer is performing a priestly function. 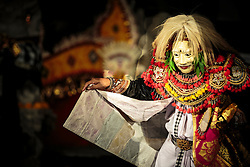 He flings the rice in the four cardinal directions to ensure wealth and fertility and sprinkles holy water on the audience. 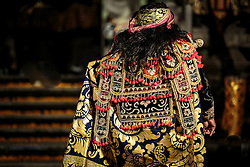 He also throws Chinese kepeng coins into the audience and there is a mad scramble to pick them up.